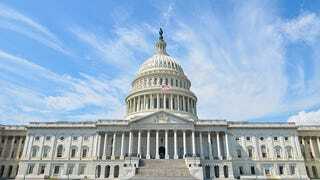 The House of Representatives has passed two cybersecurity bills over the past three days. Intended to help stop cybercrime by helping companies share information with the government, the bills have received close scrutiny from privacy advocates worried that they’ll further bulk up surveillance efforts. The National Cybersecurity Protection Advancement Act passed yesterday with overwhelming support. It’s a complementary bill to the Protecting Cyber Networks Act, which was passed the day before. Protecting Cyber Networks Act is sort of like a watered-down version of CISA, the cybersecurity bill that’s been brought forth a number of times and continually shot down due to privacy concerns. The bills are not cybersecurity “information sharing” bills, but surveillance bills in disguise. Like other bills we’ve opposed during the last five years, they authorize more private sector spying under new legal immunity provisions and use vague definitions that aren’t carefully limited to protect privacy. Check out the TechCrunch article for more details about the bills.